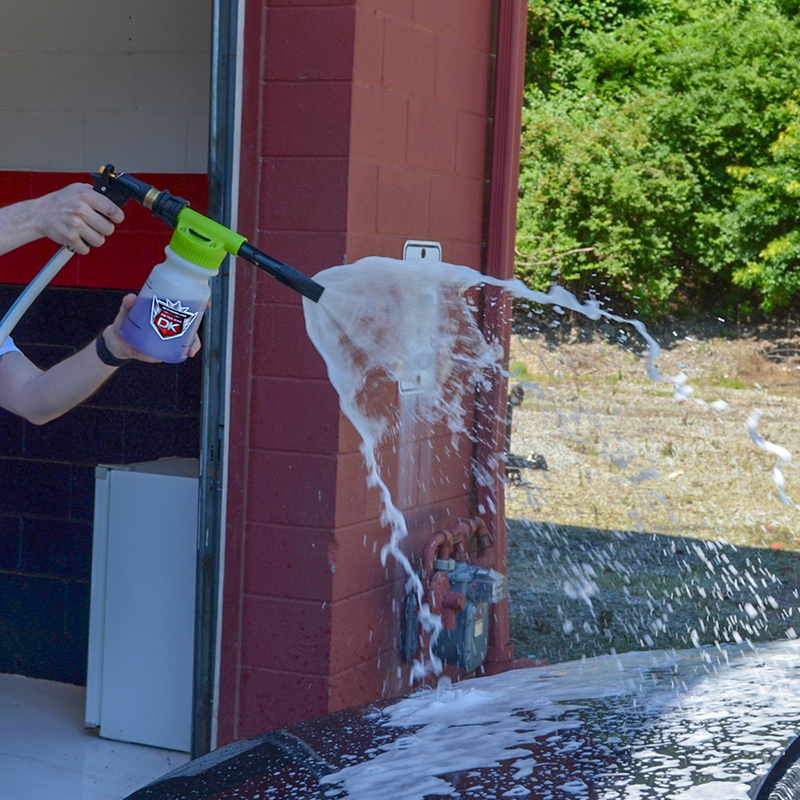 Our NEW Garden Hose Foam Gun is perfect for detailers and car enthusiasts that want to soap up their vehicle quickly and easily without the need for a pressure washer or air compressor. This Foam Gun’s 900ml bottle can be filled with your favorite car wash shampoo. (Works great with Black Cherry Wash & Wax!) Foam can be sprayed horizontally or vertically depending upon the orientation of the included foam stick sprayer tip. 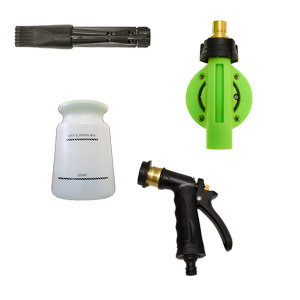 After your vehicle has been soaped-up and washed, simply use the quick disconnect on the sprayer grip to remove the Foam Gun unit from the hose and rinse with the included hand grip. 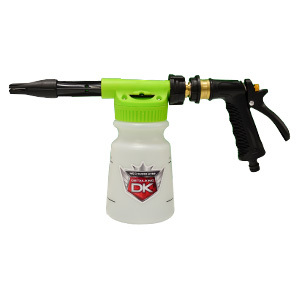 Our Garden Hose Foam Gun has convenient fill lines on the side of the bottle eliminating the need to measure out your product! 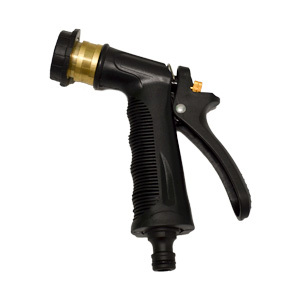 This Garden Hose Foam Gun also comes with an adjustable dial on top that lets you change the dilution ratio on the fly.